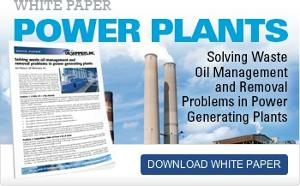 Why use skimmers with the free-floating collector tube? 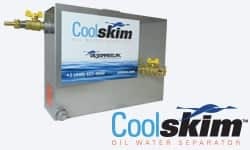 Tube-type oil skimmers are designed to ensure consistent, even operation, regardless of the application. And when it comes to performance, tube skimmers consistently outperform any other types of skimmers. 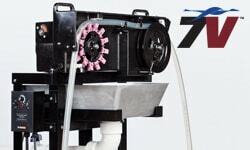 Tube oil skimmers run on a simple concept: continuously remove oil from the surface of the water using a closed-loop collector tube that floats on the surface of the water, attracting the floating oil or grease. Oil adheres to the outside of the collector tube, which is continuously driven across the separator’s surface and through a set of scrapers that remove the oil, which is then drained into a collection tank. 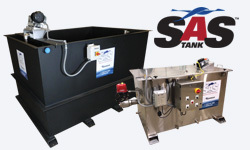 Tube skimmers can efficiently remove all petroleum-based oil, fats, greases, and oily wastes, as well as animal and vegetable oils that float on the surface of water. 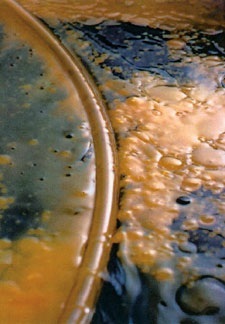 Other skimmers can get clogged with floating debris, which creates an oily dam preventing them from picking up oil and grease. However, tube skimmers have the ability to snake over, under, and through debris to continuously pick up oil. Flexible and versatile. 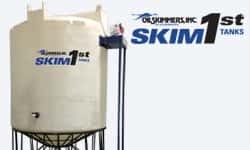 Skimmers are capable of removing oils, grease and floating sludge from a variety of containment systems, and can be adapted to any number of applications. These can range from small indoor tanks and sumps to large outdoor basins and ponds. 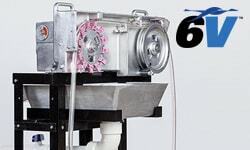 The tube skimmers can extend as far as 16 feet, and when equipped with a balanced boom system, can move around as desired for maximum portability, eliminating the need for expensive bridging or foundations – OR – can be mounted directly over top of a sump or manway opening. Easy to install. 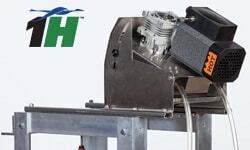 Tube skimmers provide pre-fabricated mounting systems that provide easy, economical installation. Low maintenance. 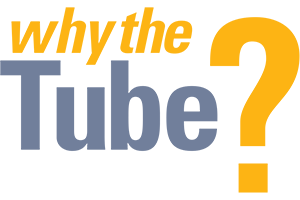 Due to simplicity of design and rugged construction, tube skimmers are not susceptible to clogging and parts maintenance problems of other types of systems. Not effected by level fluctuation. The collector tube floats up and down with the liquid level. Working parts out of the liquid. Parts are away from and out of the water for safe, easy access. Dedicated to quality. Skimmers are made with high-abrasion-resistant ceramics and high-strength steel and bronze. 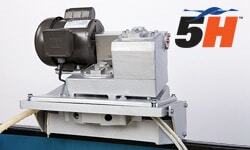 Quality parts means fewer service calls, for less downtime and fewer maintenance costs. Less costly to use. Skimmers can be unattended and left to run 24 hours a day, seven days a week. No operators or additional manpower is required attend to a tube skimmer. Efficient. 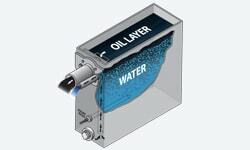 The collector tube picks up oil and not water, which means your storage tanks are full of oil, not water.